Stay: Glacier Bay Lodge is the only lodging in the national park, situated in Bartlett Cove. Opened in 1968, it mixes “rustic and 60s modern” architecture and contains the park visitor center and Fairweather dining room (great sunsets during dinner!). Although you can find accomodation in nearby Gustavus (the town you either fly or boat in to get to Glacier Bay – pop. 400), all park activities start from the lodge. Do: Glacier Bay Day Tour. Since 82% of the park has been declared wilderness (the only hiking trails are near the lodge) this is the best way to experience Glacier Bay in a short period of time. The park ranger-narrated 8-hour cruise is a great way to see wildlife (we saw sea otters, steller sea lions, puffins, seals, bears, wolves, and humpback whales) and calving glaciers. Do: Ranger-led activities. One of our favorite things to do when visiting national parks is to participate in a ranger-led hike or attend a ranger talk. We learned a lot about the park geology and wildlife during the pre-dinner talks we went to each night at Glacier Bay. 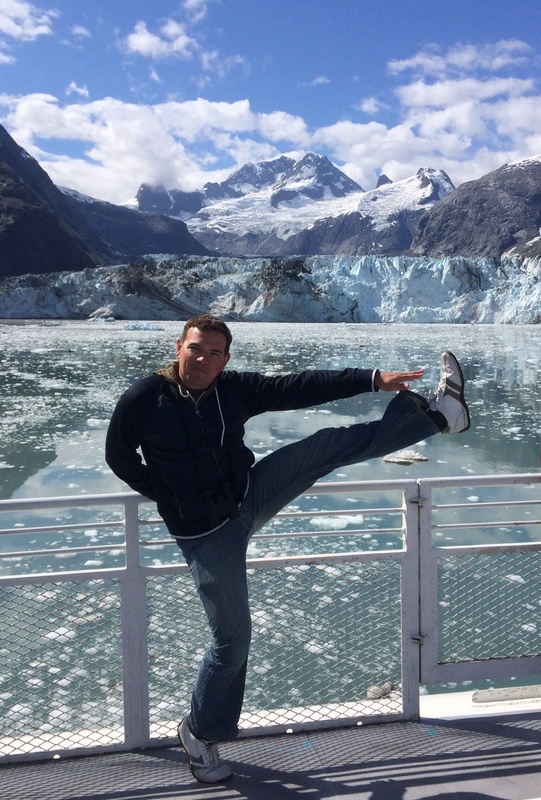 This entry was posted in High Kick Photos and tagged Glacier Bay Lodge, Glacier Bay National Park, High Kick. Bookmark the permalink.